Texture: Soft & Smooth, like the name. Long-wearing, doesn't dry out my lips. I hope it's not just mine that smells like that. Look at that scrape on the side. It's that soft. Anyone else has this lipstick? I generally don't buy Revlon lippies..but was planning to buy from the Colour Burst range..
Did you check with any of your friends who bought this?? is it the same for all lippies? 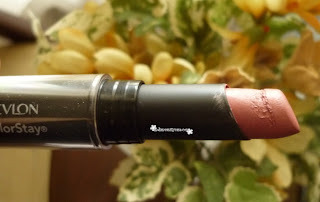 Thank God I did not buy this last evening while I was browsing their counter..
That is a very convincing post :-) I never think of doing a smell test before buying a lipstick, but now I will be sure to do that first! The color is so pretty. ohh.. im thinking of getting a colorstay.. thanks for warning us.. eww.. cant stand bad smell..
ew. I hate it when makeup items and skincare products have weird smells. I was also thinking of buying this one. It has some pretty shade selection. Glad you warned us. ew that does not sound pleasant hehe. thanks for letting us know us, will defo stay away! I have not seen this in Malaysia yet.....but when I do, I must give it a whiff and then decide! Ugh! 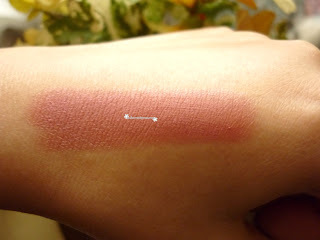 I do not have these lipsticks.They look very pretty.But I have some lipsticks, which are very different color than they seem.Anyway,I love your make-up of these posts. oh sad....such a expensive lipstick but bad result. 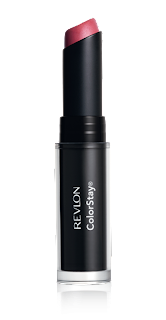 Revlon has some of the nasties smelling lip products! I don't have this lipstick, but I bought two of their color-stay glosses, and OMG they smelled like vitamin C tablets mixed with water! Ewwww! This one speaks GROSS in my list now! 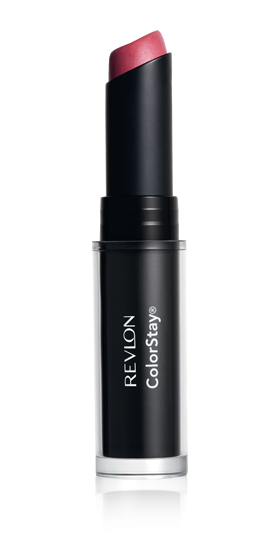 I bought a Revlon one just a few weeks back and didn't like it either! I mean the colour was to my liking and all but it doesn't stay for long!I also had to say bye bye to my money. Well my favourite one is Maybelline, which I bought last year! Its got such a nice smell which makes me wanna eat it! The range is Moisture Extreme Lipolour. god the lipstick looks horribly dry!!!! the top most pic by the company looks so inviting though! I actually have this and the smell isn't bad at all,.... But mine doesn't resemble mauve even closely, like you said it's peachy. Wy name something mauve when it isn't mauve. Jeez. Money wasted. it's too light for me.